The front garden, overgrown, seemed ideal for a hen to nest. I found a nest with four eggs a while ago. I collected three for breakfast–all were good to eat–and left one. Since we discovered the nest, DH intended to mark the one so we would know which eggs were newer when the hen laid again. We had heard that hens lay one egg a day. 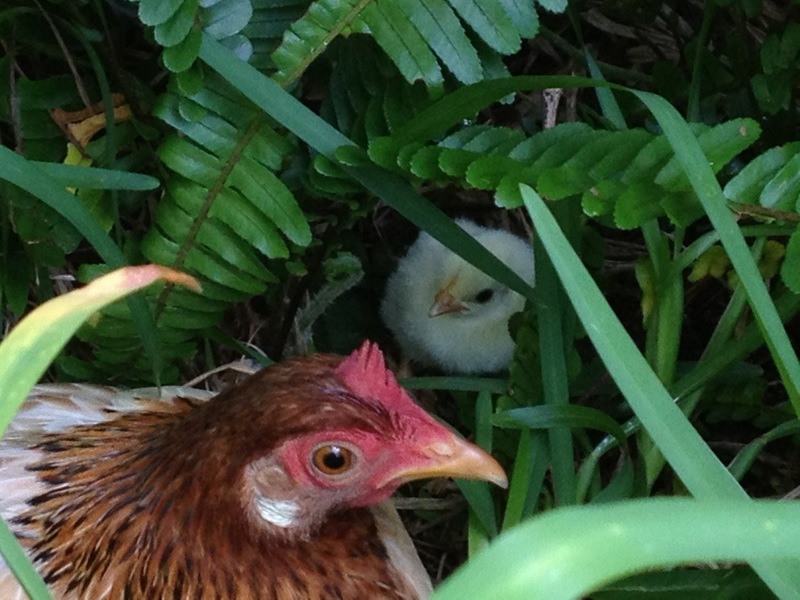 But DH said he didn’t have the heart to poke the hen off her nest. This morning I met her on the path, and out from under her appeared a teeny tiny white chick. 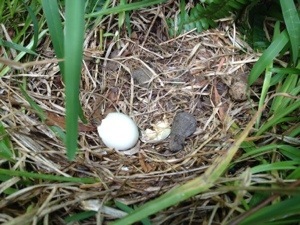 I went to the nest and found just one empty shell! All these days she had been sitting on just one egg. What a good momma!